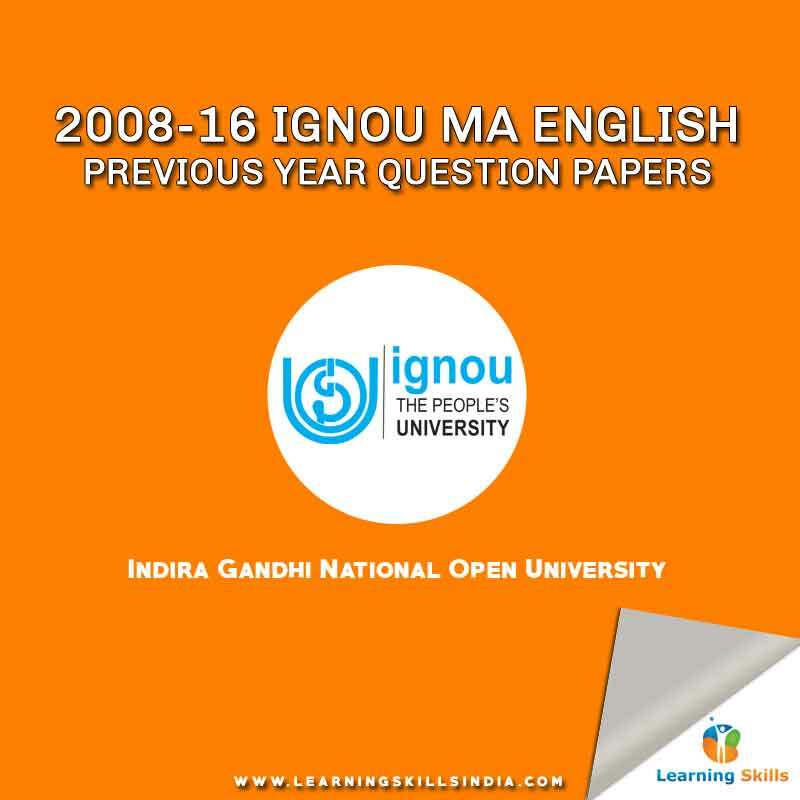 I hope you will put all these IGNOU MA English previous years question papers to best use. If you’ve questions or doubts, please feel free to use comment box below. We would love to resolve your queries. NICE and very useful. sir where can i get the same in pdf format. You can click on each link and then download files. All files in PDF format. thank you. can i download all pdf files in single click ?? it is very time consuming to download all papers one by one…. We will make sure that from the next time we will upload Zipped files to allow users to easily download in one click. Sir,I want to MEG 2017 1st year question paper,how can I get it? When will be starting date of admission of MA English for distance education? Well I can only tell you to meticulously go through previous year question papers, and read your textbooks properly. I want solved question papers for M.A English 1st year. Hello sir, For your kind information I have joined M.A in ENGLISH in July session -2018 in IGNOU. When will I appear in the 1st year exam. ? In December -2018 or JUNE – 2019 ? sir, exams will be till paper Aspects of the Life… or more in 1st year.. plz tell sir.. There are Four Modules – MEG 01, 02, 03 and 04. You could watch Movies based on British Novels, however for the British Poetry, you will need to read each poem text and analyze it properly. CAN I APPEAR IN DECEMBER 2018 EXAM ,BECAUSE I HAVE ENROLLED IN 2016 DECEMBER BUT COULD NOT APPEAR ANY EXAM ? Talk to your regional center! Sir can I get MEG solved papers? I m a student of MA previous. I want to know are all blocks compulsory. The first year papers – MEG 01, 02, 03, and 04 all are compulsory. Meanwhile, in final year MA English paper – MEG 05 is only compulsory.